Pet Blessings and Adoptathon Saturday!! 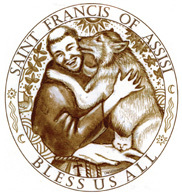 Love St. Francis? Love the animals? Volunteers are needed!